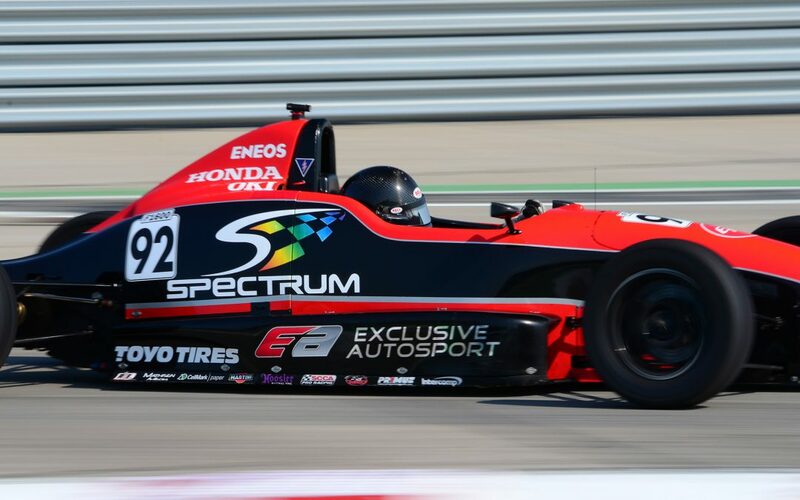 Parker Thompson is pleased to announce a one race deal with Exclusive Autosport, in an effort to etch his name into the history books as the winner of the 50th Anniversary of the Xstch F1600 Formula Tour at the Montreal F1 Grand Prix. While Thompson may be in the same #90 Exclusive Autosport entry that you have come to know and love in 2017, this weekend the car will have a very different look and feel to it. The #90 race car that Thompson will be piloting is a brand new 2017 Spectrum. The livery for the #90 this weekend will be dedicated to the 50th Anniversary of F1600 at the Montreal Grand Prix – with a white and red scheme provided by AERO Paint Technology. Parker has partnered with two brand new partners for the Montreal F1 Grand Prix, and they both couldn’t be more excited to be involved with making this special one-off event happen. Badlands Motorsport Resort – Coming Soon! A vision for a motorsports focused destination resort in Alberta, Badlands Motorsports Resort is a family-oriented recreation area designed to help foster economic growth and tourism in Alberta. The development features two world-class automotive road courses, a full-service recreational resort, residential community and a multitude of experiences for all visitors. Badlands Motorsports Resort offers the unique opportunity to grow not only motorsports in Western Canada, but the local economy as well, ensuring a prosperous future for residents and visitors to enjoy for years to come. TriQuest NDT is a nondestructive testing services company serving locations across Western Canada in the Oil & Gas, Manufacturing and Power Generation industries. Nondestructive testing (NDT) includes non-intrusive inspection methods used to evaluate material and equipment integrity without impairing their future usefulness. As a full-service NDT company, our services include: Gamma Radiography, Computed Radiography, X-Ray Radiography, Magnetic Particle, Liquid Penetrant, Ultrasonics, Visual Inspection, Ferrite Testing, Hardness Testing, Boroscope Inspection, X-ray Fluorescence (XRF) Alloy Analysis/PMI, Magnetic Flux Leakage (MFL), Phased Array Ultrasonic Testing (PAUT), Ultrasonic – Time of Flight Diffraction (TOFD), Ultrasonic Corrosion Mapping, Engineering Services, Pipeline Integrity Inspection, In-house Radiography Facilities. “I am extremely excited to bring on two brand new partners to the program for the Montreal Grand Prix,” exclaimed Parker Thompson before jumping on a plane for Montreal, Quebec where he will compete at the Formula One Grand Prix. “I am really looking forward to showcasing both Badlands Motorsport Resort, and Triquest NDT at the front of the grid in Montreal.,” exclaimed Thompson. “On top of that, I will also enjoy proving how creating business relationships within motorsport through Parker Thompson Racing can enhance the success for both of their businesses. I want to win on and off track with all of my partners,” stated Thompson. “I can’t wait to hit the track this weekend in Montreal in the #90 Badlands Motorsport Resort / Triquest NDT car.